In yesterday’s devotional (click here to read), it was presented that this above nursery rhyme seems to be a good metaphor concerning Salvation by good works. In other words, there are many who are under the notion that they have merited Salvation by some good work! They did some good work, just like Little Jack Horner! But the Bible makes it clear that Salvation is by grace alone… “For by grace are ye saved through faith; and that not of yourselves: it is the gift of God: Not of works, lest any man should boast.” Ephesians 2:8, 9. Here we see that Salvation is by grace alone, and nothing can be added to that grace! The great problem in Christendom, is that many do not understand that the Bible is a book of precepts, each of which presents an individual truth, which together make up that one giant truth, which God calls “The Gospel of Christ”. Think of a giant diamond, which is made up of many little facets. And as you twirl that diamond in the sunlight, different facets begin to shine. So this above verse alludes to the gift of Salvation, being compared to a precious gem-stone, twirling in the sunlight. And isn’t it true, that the Bible is a very complicated Book about a very complicated God? And so, God has chosen to teach us about Himself, by showing us little facets of truth! Thus, there are little facets of truth which seem to contradict each other. And so, as this above passage tells us, our knowledge comes from placing precept upon precept, and line upon line, in order to rightly divide the “Word of truth”. Unfortunately, many have stumbled at the Word, by trying to take certain verses out of the Bible and making those particular verses the sum-total of any one particular church-doctrine! Many theologians have decided that this above passage is the sum-total of how a person becomes saved. Many in Christendom ignore this above verse altogether because it doesn’t fit their traditional church doctrine. And they simply hold fast to their favorite verse that says, “whosoever shall call on the name of the Lord shall be delivered” Joel 2:32. But we just can’t ignore Acts 17:48 (“…and as many as were ordained to eternal life believed.”)! It is an integral part of truth. It must be delicately balanced together with everything else concerning how a person is saved! 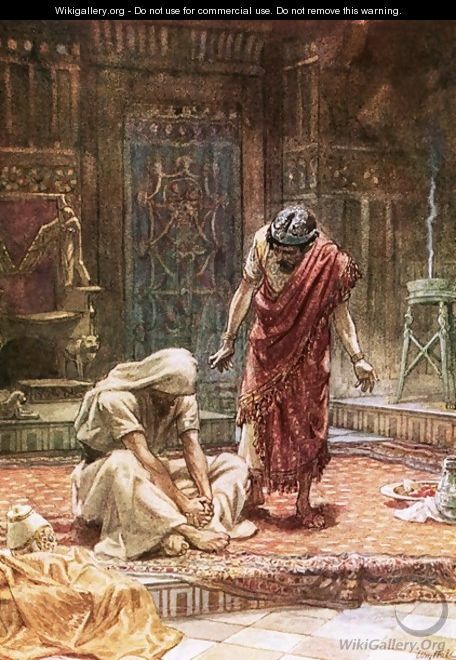 We simply must humbly bow our self to God’s infallible Word and say, “Yes, Acts 17:48 speaks of being ordained to Salvation”. And so, the correct way to reconcile such seemingly contradicting passages, is to do a prayerful search of all related passages, in attempt to balance them together, without cancelling out any one verse. In other words, all related verses must be accepted and allowed to shine, whenever the sunlight shines upon them. The Bible warns us… “Ye shall not add unto the word which I command you, neither shall ye diminish ought from it,” Deuteronomy 4:2. This above verse warns against diminishing ought from Scripture. But so often, that is exactly what theologians have done! In many cases, they attempt to cling to ancient church-doctrines and beloved church-traditions. And in so-doing, they must wrestle away any verse or passage which contradicts that particular cherished church-doctrine! It would be far better for all of us to not try to “nail down” some church-doctrine and simply let the various related verses stand on their own! But there is something in man, which compels us to try to put everything in a neat little package, and conjure up some nice-sounding man-contrived title, such as “Free-Will Salvation”. And so, now we are not only “diminishing ought” from the Bible, but also “adding to” God’s Word, by inventing our own non-biblical titles for our church-doctrines! Thus on Judgment Day, we must give account to God for all such heresy! The Good News is, that God has graciously given us time to correct these kinds of errors. No, don’t expect the church-world to collectively repent of these errors. There will not be a mass repentance of these babylonish errors! All such repentance must be accomplished by the individual Christian. The photo to the right is the Pleiades Cluster. Does it appear to you like an angel? Well, if it does, then you are encouraged to keep reading. The above two verses concerning the Pleiades are all the Bible has to say about the Pleiades, directly. 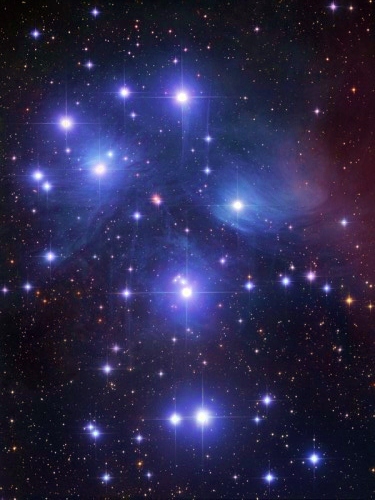 But if you will read this article, you will discover that the Pleiades represents concepts which span much of the Bible! And The Heavens Declare.net will attempt to unravel this mysterious phenomenon in the night-sky, and will, hopefully, also interpret these two verses to show just what all this means, and how it might apply to our lives. 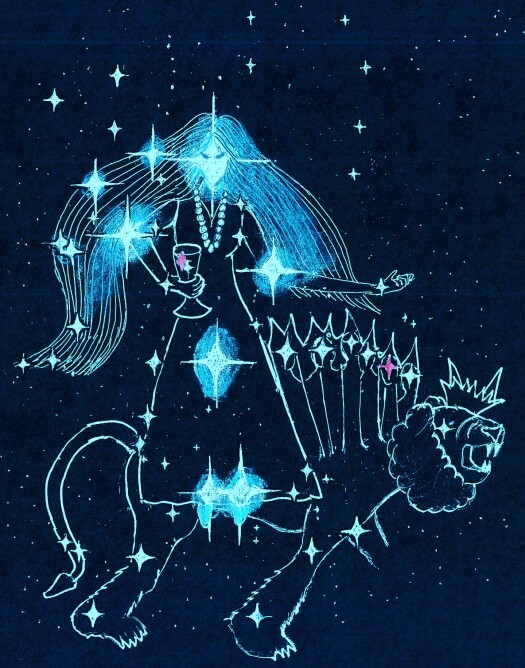 You see, this constellation tells the tale of two women! 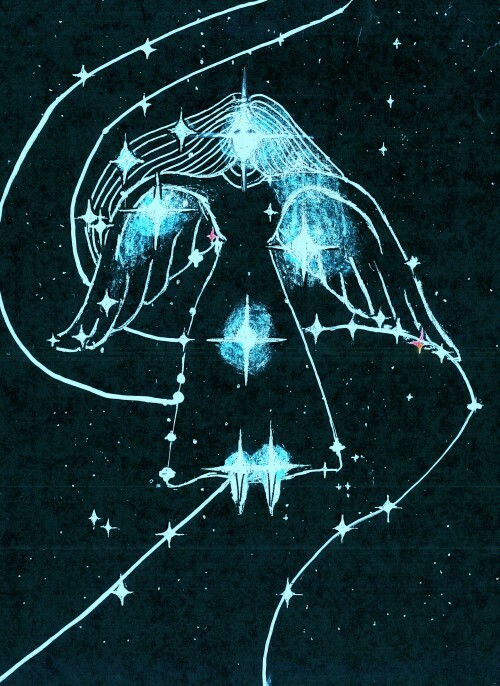 But how can it be, that nobody has ever seen the Pleiades as a constellation of a woman? This article will discuss this great paradox of these two women, found in the Pleiades, and what it means scripturally to us: we who comprise the global community of Christians. Because this constellation (or should we say Constellations, plural), has very much to do with us: those of us who are living right now on the threshold of eternity. And as you might expect, if you are at all familiar with this website, the Bible holds the key to understanding all this!